For a while, my friend and I discussed a good way to display the table assignments for her wedding. One thought was a board on an easel with a layout. 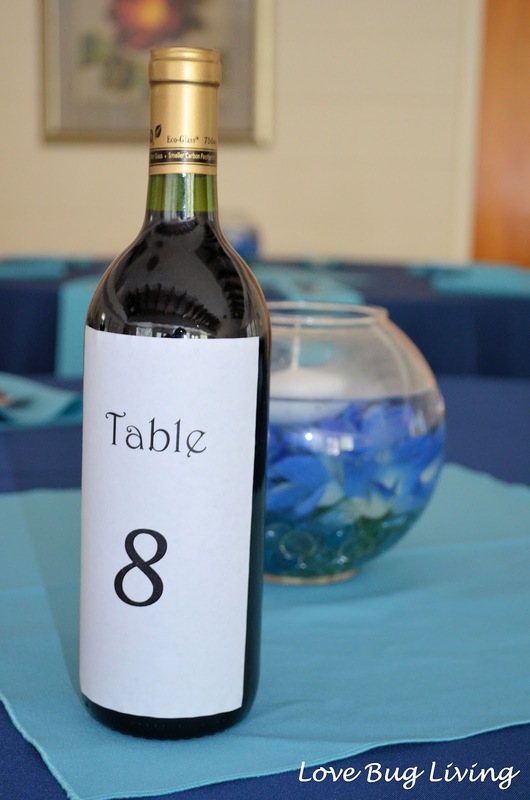 We wanted to make it easy for the guests so that they didn't have to wander around the table looking for their seats. She also wasn't sure what favors she was going to have for her guests either. 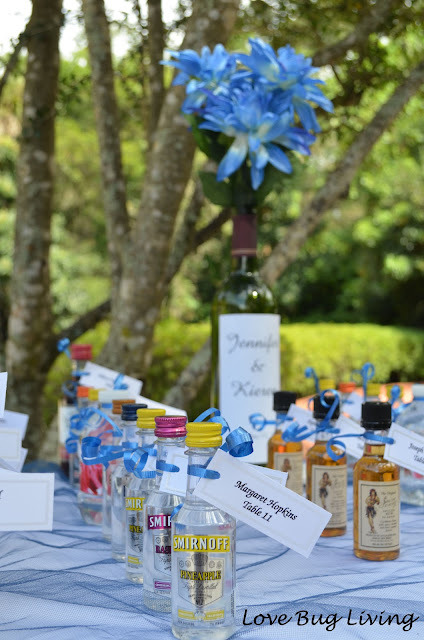 Finally we decided to combine the two and make the table assignments also the favors. 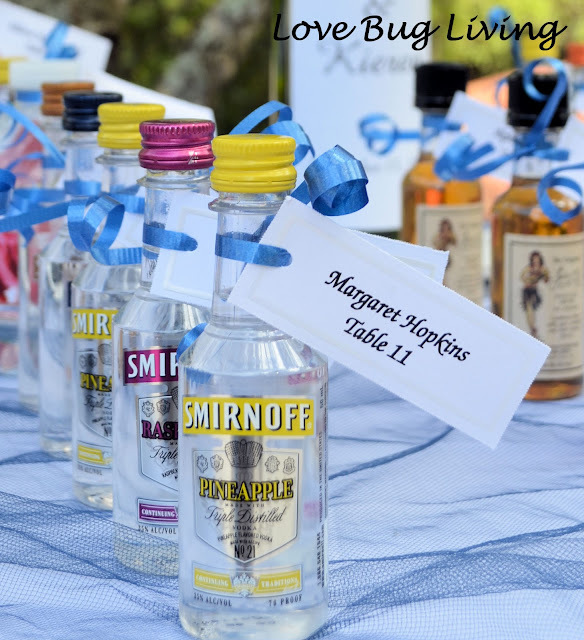 Each guest received a small bottle of liquor as their favor. She picked out all different flavors of vodka and rum and a few small bottles of wine for those that didn't like hard liquor. We had fun picking out which guest got which flavor. She printed the guests name along with their table number on small tags. 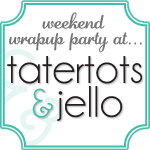 It was great because they already had little holes in them to thread our ribbon through. We tied on our blue ribbon and curled it. After some last minute rearranging, the table assignments were set up outside near the side entrance to the reception area. 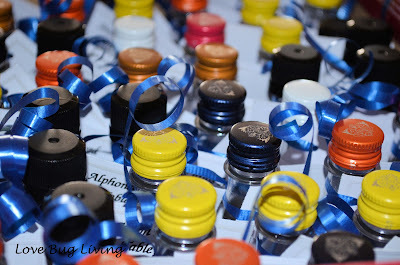 I set the bottles up in alphabetical order, making it easier for the guests to find theirs. 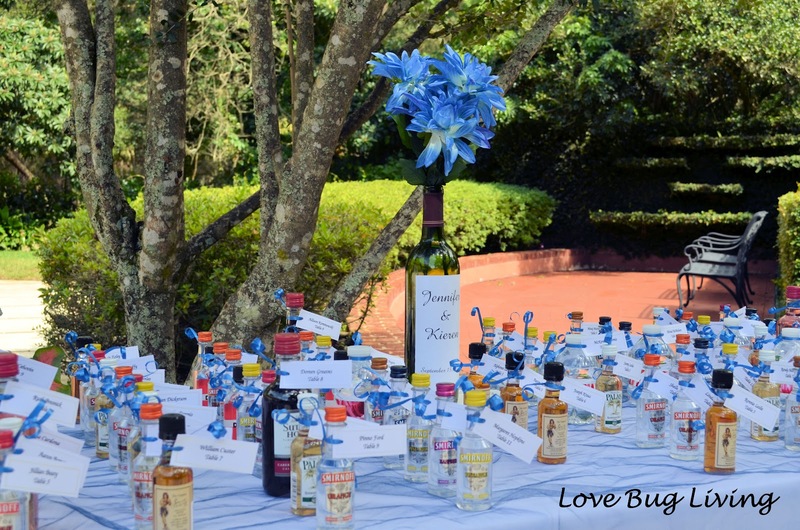 After the ceremony, the guests were able to find their bottle and have some appetizers while the wedding party took pictures. We added a little centerpiece to the table that coordinated with the centerpieces on her tables. 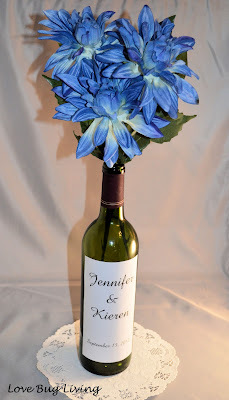 We used the same flowers from her centerpieces and added them to a personalized wine bottle with the bride and grooms' names on it along with their wedding date. The wine bottle matched the wine bottles that were placed on each of the tables that were labeled with the table number. 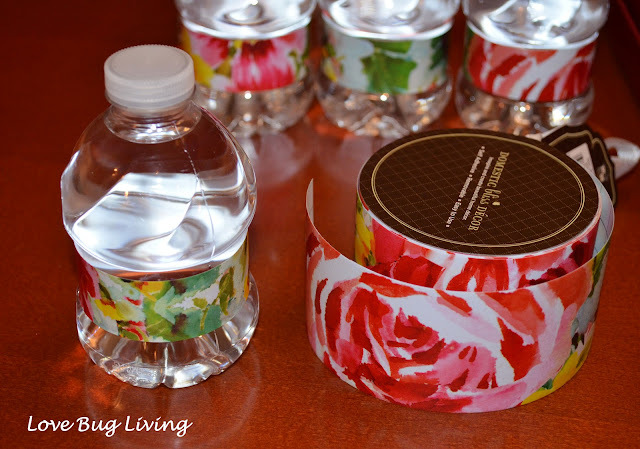 Not everyone at the wedding drank alcohol, so we used some decorative tape to embellish small water bottles. I just removed the water label and wrapped a strip of tape around instead. Cute, decorative and the moms-to-be, under 21 year olds, and non-drinkers still got a favor and could find their seat. I used this home decor tape from JoAnn's, but there are so many different duct tape designs, there is bound to be something that matches your colors. The favors must have been a hit with the guests, because there were no bottles left behind at the end of the night. These aren't just for weddings, they could be used for any dinner party and placed at the guest's seat. However you choose to do your table assignments, just have fun with it!